“Batman and the Outsiders” #11 (June 1984). Art by Jim Aporo. This week’s minorities in cartoons entry is Katana (real name: Tatsu Yamashiro), a DC Comics superheroine. 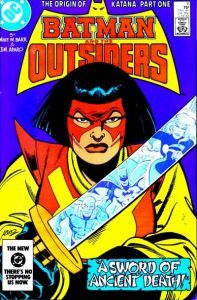 Katana first appeared in “The Brave and the Bold” #200 in July 1983. She was created by Mike W. Barr and Jim Aparo. Tatsu’s back story states she was raised in Japan, where she grew up mastering martial arts. As a young adult, two brothers, Maseo and Takeo, both tried to court her, but Tatsu chose Maseo. This made Takeo angry, and he developed a grudge he carried with him while he rose in the ranks of the Yakuza. Eventually, Takeo came into possession of two swords, one possessing mystical powers, which would eventually be called the Soultaker. Taking the swords back to Tatsu’s house, he challenged Maseo to a duel, giving Maseo the ordinary sword. After Takeo accidentally started a fire (which claimed the lives of Tatsu and Makeo’s children), Takeo defeated Maseo. Arriving in time to see her husband killed, Tatsu overtook and unarmed Takeo. She then attempted to save her children, but was warned that it was too late by her deceased husband’s voice, which came from the Soultaker. It was later revealed that the Soultaker was forged (and cursed) during the 14th century. It’s capable of capturing the souls of those it slays, along with allowing limited conversations between the sword’s wielder and said souls. Katana eventually met and joined the Outsiders. The Outsiders is team formed by Batman (after he quit the JLA) to better combat certain threats the JLA couldn’t or wouldn’t handle. She stayed with the team through its various incarnations/disbandings. Katana also occasionally assisted her former teammate Batman. 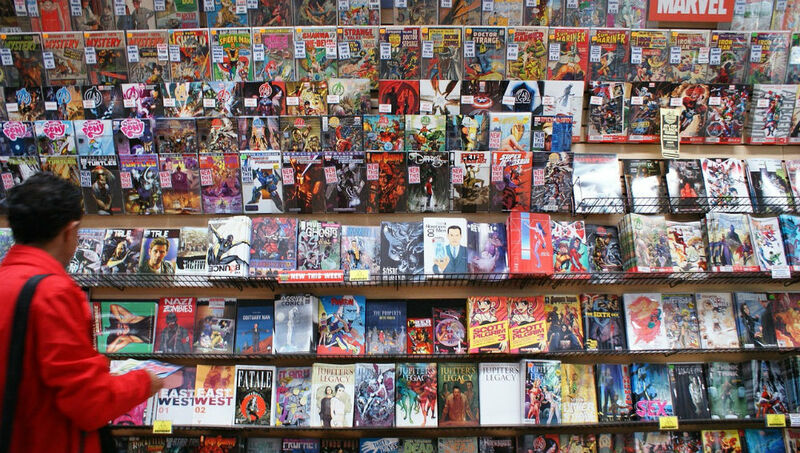 The 2011 New 52 reboot saw Katana joining the Birds of Prey for a period, replacing Batgirl. Later, Katana would join the New 52 version of the Justice League of America. Outside of comics, Katana first appeared in “Batman: The Brave and the Bold,” where she was depicted as a quiet teenage girl. Her much-simpler backstory here states her mentor Tadashi was killed by Takeo. Katana here was voiced by Vyvam Pham, and later Kim Mai Guest. Katana later appeared on another Batman series, 2013’s “Beware the Batman.” Besides being computer-animated, Katana gained yet another variant backstory. Here, she’s the now-buff-and-bald Alfred Pennyworth’s godchild (Katana’s father was a MI-6 partner of Alfred’s). Alfred had summoned her to help out Bruce Wayne. Katana herself was a former member of the League of Assassins before defecting (via faking her death). Sumalee Montano voiced Katana.